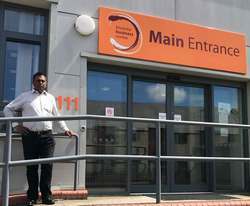 Ras Limbachia is the Director and owner of East Midlands Drainage. He has over 26 years’ experience working within the drainage industry, 5 years as a consultant and 19 years as a full-time employee working in the drainage industry. He has been involved with various drainage projects with consulting engineers as well as several housing developers including local authorities and civil engineering contractors.